This article was originally published in June/July 2016 issue. There is no question that mirrorless cameras have carved out their place in the market. Sony’s A7s has been recognized as one of the world’s best low light options. Panasonic’s GH4 can capture 4K footage that rivals cinema cameras costing more than triple the price. Since these cameras are both compact and lightweight, they’re ideal for aerial platforms where image quality and costs are paramount. Having the ability to change lenses offers staggering creative options, added working distance as well as greater detail. The larger sensors also offer significantly cleaner output, higher bit rates, frame rates and more dynamic range. The X5 was tested on our DJI Inspire 1 using the included 15mm lens and Sandisk Extreme 64GB micro SD Card. Not included, but also tested were 3 optional lenses including the 12mm, 25mm and 45mm listed as compatible in the specs. Having flown so many different size machines, cameras and gimbals, it is hard to imagine that things wouldn’t simply continue to get larger. The truth is that in the hands of a professional, a camera is a tool. Use the right tool for the job and your life becomes much easier. Unfortunately, there is never one “multitool” that does everything as good as the perfect tool. A Red Epic is not the right tool for 95% of us despite producing incredible image and video quality. At the same time, a GoPro can be the perfect tool when filming 360 degrees, surfing or attached to a suction cup mount of a Formula one car. Try to suction cup a Red to your surfboard and you’ll see quickly why it’s the wrong tool. While DSLR cameras hope to span the cavernous gap, they also bring with them weight. The X5 is a newer generation of camera that sheds all the extra weight of a larger camera, but keeps the image quality. In fact, some mirrorless cameras have set the standard for image quality and left countless more expensive cameras in the dust. I’m quite certain there will be a day where the sound of a mirror in a DSLR will be nothing but a story I tell to my grandchildren. Mirrorless cameras are where all the technology is being concentrated and companies like Sony and Panasonic are leading the pack. 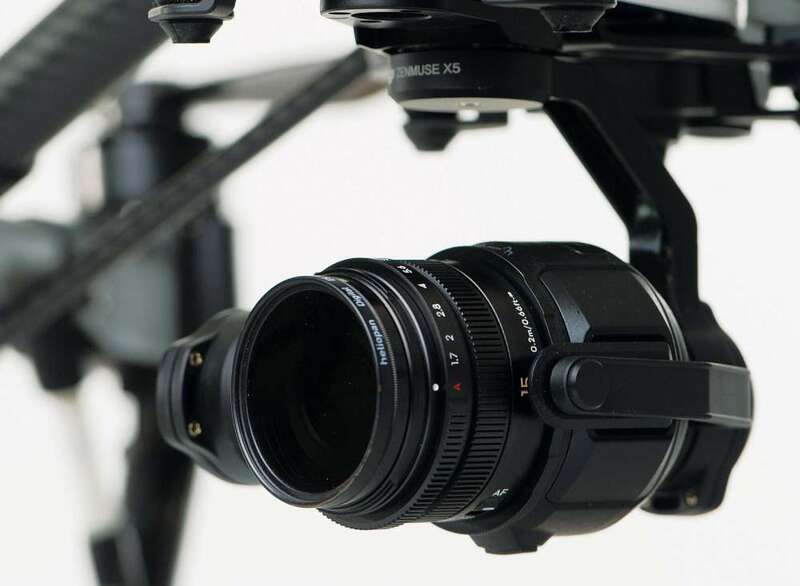 For aerial capture, a mirrorless camera is the ideal blend of image quality and weight. Three years ago it would have cost you 30-100K to have a copter that gave you HD video link will low latency, aperture and focus control and 4K video and you’d still have to land to change exposure. Now all of it’s available and more for a fraction of the price, flies for four times as long and fits on the front seat? Until the X5, flying a mirrorless camera required a Z15 or comparable gimbal, a larger airframe and all the other typical accessories associated with these rigs. They’re more difficult to transport than a typical quad used with a GoPro size camera and cost significantly more when you factor in everything you’ll need. On our S900, the charger, battery packs, monitors, transmitters and HD video transmitter added thousands of dollars to the overall cost. The DJI Inspire 1 has quickly become one of the most popular RTF platforms with pilots and smaller budget film crews. It’s a complete solution with very few compromises. While the X3 camera is certainly capable of holding it’s own in the field of these tiny sensors, some clients demand more. For most, the GH4 was the answer…until now. While DJI directly compares the X5 sensor to the Panasonic GH4’s when discussing size, the camera bodies are substantially different in design. The X5 is void of the typical camera grip, LCD and controls, but combines the camera body and 3 axis gimbal into a sleek, compact package. The memory card slot and USB connection have been relocated to the top of the camera and includes a plastic hinged dust cover. 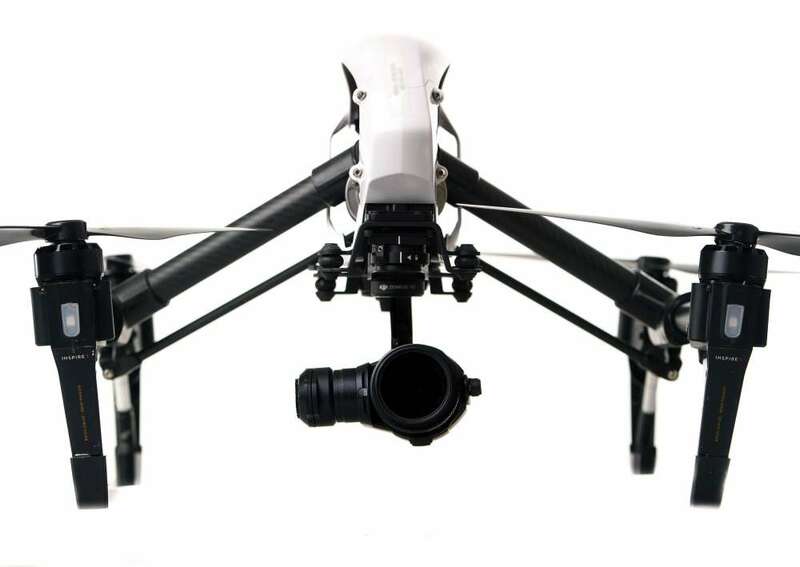 The Inspire 1 requires a new vibration mount and landing gear pads that compensate for the heavier and larger size. This mount isn’t included with the X5 and commands a hefty $99 for this rather simple (option) required piece. While the X5 offers class leading and niche capabilitie, it would have been nice to see this vibration mount included for the 2000+ price tag. Some lenses require optional balance rings that screw onto the lens filter threads, but use no glass. When initially powered up, the Inspire 1 recognized the X5 and immediately made it evident that the firmware must be updated. Current firmware for this review was 1.3.0.60 from DJI’s website and was dated for 12/22/2015. The DJI Go App version compatible with this version is 2.6.0. This is the fourth iteration of firmware for the DJI Inspire 1 running the X5 and numerous improvements, both listed and quite obvious, were implemented. These refinements and fixes also include more lens choices. The DJI Go App now offers additional functionality when paired with the X5. For those familiar with the Inspire 1 interface, these additional functions will be easy to dismiss as no big deal. For those coming from bigger rigs flying the GH4 or cinema cameras, the difference will be nothing short of staggering. Unfortunately, those upgrading from a GoPro type of camera may be overwhelmed. Full control of every camera function is expanded to include focus and even aperture. For video, it’s now possible to use multicoated ND filters along with aperture to maintain the ideal shutter speeds while filming. For more creative control, DJI even offers a cinema style remote for “pulling focus” by a third person during the shot. While the X5 offers DJI’s version of a Log preset that potentially unlocks additional dynamic range and post production grading flexibility, footage captured in standard preset modes offers jaw dropping leaps in image quality over the X3. There are significantly fewer artifacts from compression and sharpening. Color rendition and dynamic range is natural and more forgiving in high contrast scenes. We’ve been shooting with the X5 for months now, using all the prime lenses currently compatible. 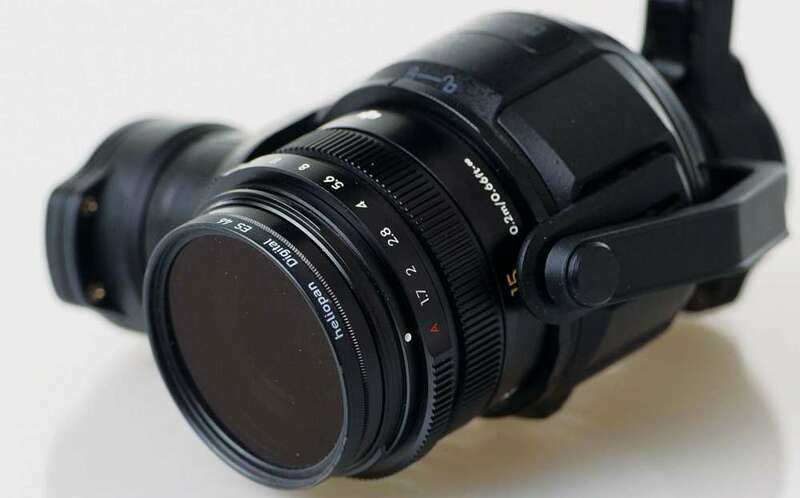 While the focal lengths between 12mm and 17mm sound similar, they offer noticeable differences in field of view. On one shoot involving a commercial building, we found the 12mm lens to be ideal. Switching to the 15mm made it impossible to capture the entire width of the building within the constraints of neighboring buildings. On another shoot involving a revolving around a clock tower monument, the 25mm lens offered a far more cinematic look and feel our director loved. In low light we were able to push the camera to ISO 1600 without hesitation which we never were comfortable doing on the GH4. The X5 on paper may be very compelling for some or dismissed by others. In actual use there is an intangible synergy of all the components in the system that transcends other options entirely. The total experience is far more satisfying and pleasurable to operate than typical DSLR or cinema rigs because the entire system has been built for a single purpose. It makes the S900 with GH4 option seem very outdated and disconnected from the operator since about all you can do from the ground is actuate the shutter. The X5 is like a GH4 that has its entire interface relocated to a tablet display on the ground…right at the user’s fingertips. 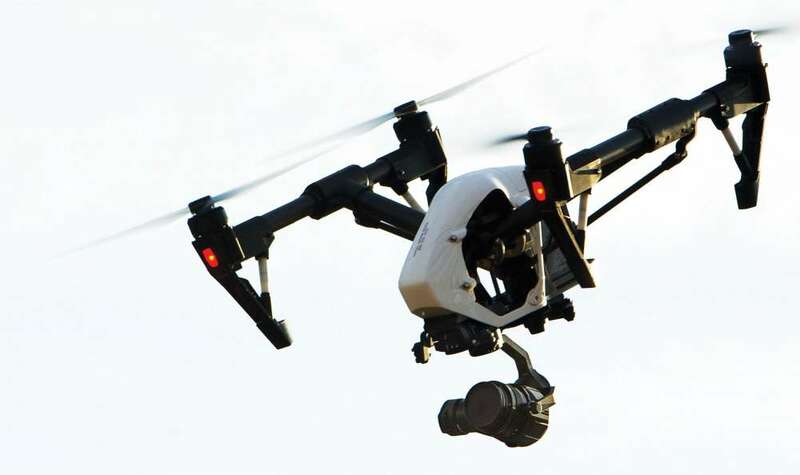 The Inspire can fly in places that larger machines can’t dream of while offering full camera control from the ground via and HD video feed with no complicated wiring, antennas or brick batteries needed. Between scenes, the Inspire is easily transported and ready for flight. For those with even higher image quality demands, the X5R offers Raw 4K uncompressed capture for unimaginable power in post editing. I truly believe that the X5 will change the way we think about capturing video and still images in the air. As of now there is nothing that combines all these features into one reliable platform to even compare it with. It’s lowered the cost, increased safety and made flight more enjoyable and confident. I absolutely recommend it.